Japan - Telecoms, Mobile, Broadband and Digital Media - Statistics and Analyses | Market Research Reports® Inc.
Japan - Telecoms, Mobile, Broadband and Digital Media - Statistics and Analyses report is published on April 11, 2016 and has 70 pages in it. 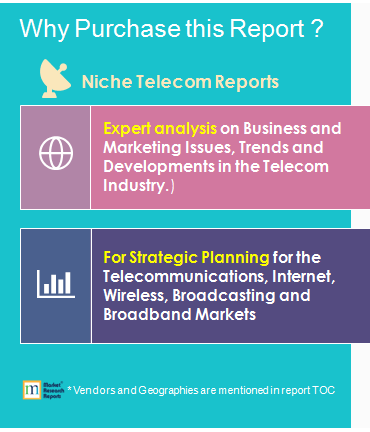 This market research report provides information about Telecom, Broadband, Country Overview (Telecom), Handsets & Devices, Mobile Services industry. It covers Japan regional market data and forecasts. It is priced starting at USD 895.00 for Single User License (PDF) which allows one person to use this report. Moving towards 2017 Japan’s market is served by three multi-service operators offering fixed-line telephony, fixed broadband Internet access, mobile voice telephony, mobile broadband Internet access and pay TV services. Moving into 2016 there were approximately 160 million mobile subscribers in Japan with the majority expected to be accessing services through LTE networks. Japan’s mobile market place remains an aggressive arena given the mature nature of the market. With few new subscriber acquisition opportunities operators are focused on acquiring subscribers from each other as well as satisfying and retaining existing ones.